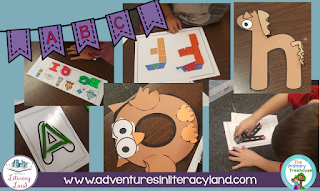 Do you have students who are still struggling to learn the letters of the alphabet? Or are you rethinking how you want your students to work with the alphabet next year? Using letters in different ways helps students learn and use the letters of alphabet in meaningful ways. Word study is a great place to start with your emergent readers. Carla from Comprehension Connection has a wonderful post on getting started with word study with your youngest readers. Once you have started teaching the letters, the fun can begin! 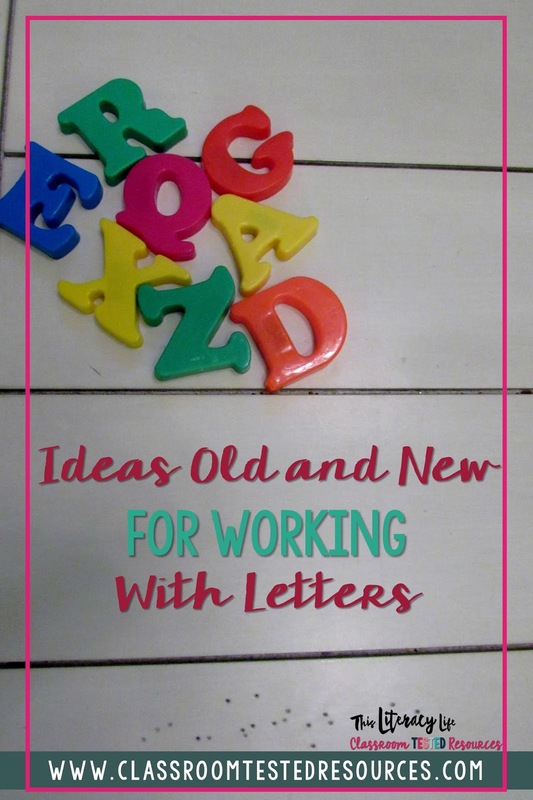 This post from Adventures in Literacy Land highlights a ton of fun ways your students can work with letters. Looking at the shapes of letters helps children to distinguish how they look and integrate them into their young minds. Magnetic letters are perfect for doing this. I love these stuffed letters I have to help students see and feel the shapes of letters. 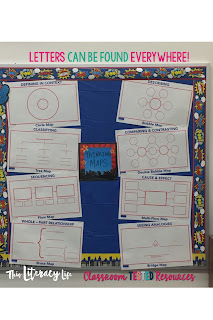 Letters are all around, so what a better way to look for letters in the world around. Taking your students around the school can not only show them that letters are important and everywhere, but it can also give them a little bit of exercise. 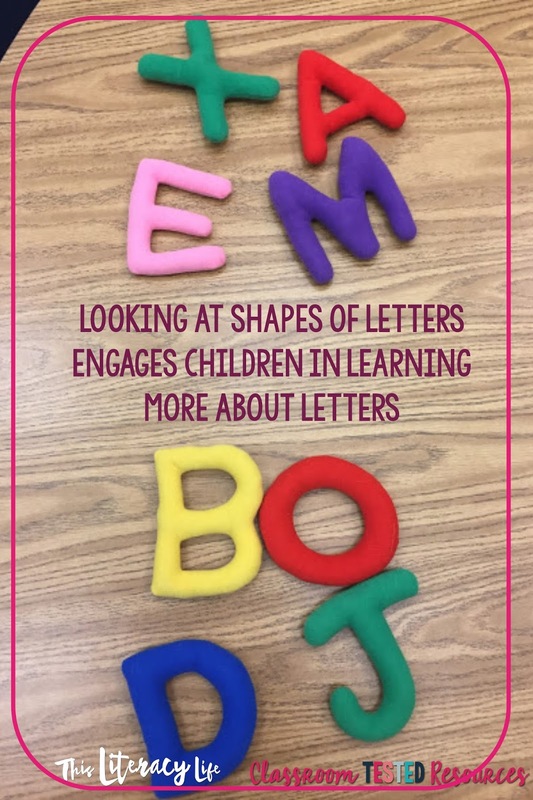 Sorting letters by fonts also helps students internalize shapes of letters and learn more about them. Distinguishing the features of the letters will help them to see the differences between letters and learn them more effectively. 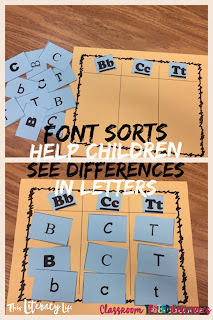 These font sorts are perfect for helping students learn different letters. 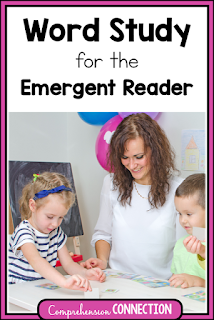 Working with letters with emergent readers is an important step in learning to read. There are many different activities children can do with letters, and these are just a few of my favorites. 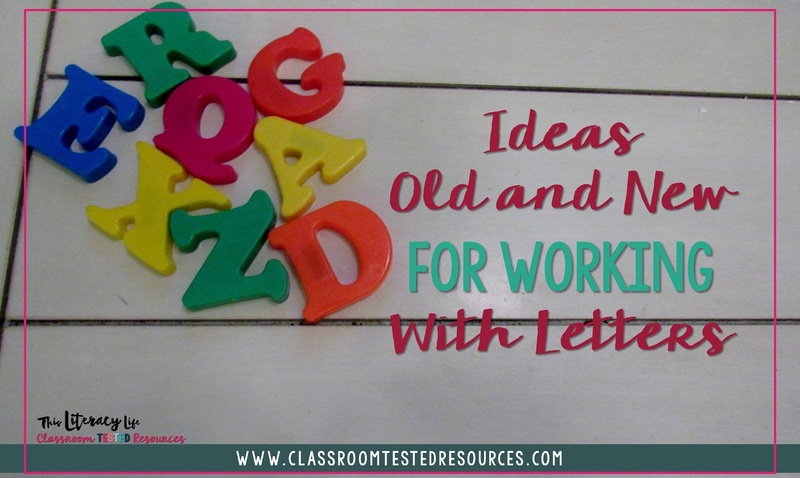 What are some of your favorite letter activities?